John Targett had an unforgettable smile with an engaging personality that welcomed interesting conversation. His humour was boundless but he was no lightweight, far from it, but a very serious person with a professional approach to his work and his passion for motor racing preparation and track skills. Born in Portsmouth, Hampshire, UK, John studied mechanical engineering at Southampton University and on graduating joined ICI. He competed in MGB Roadsters from the late 1960s and had particular success in his MGB Roadster (AMF 45 H) in production sports car events in the early 1970s. When John moved to the US in 1976, the car was lent to Gerry Brown who then raced it for a season in BRSCC Prodsports in the distinctive blue and yellow Oliver Rix colours. John took up racing again and over the last 35 years he has raced several British sports cars in club events on circuits in the USA - a TR8 and particular success with two race prepared MGBs. 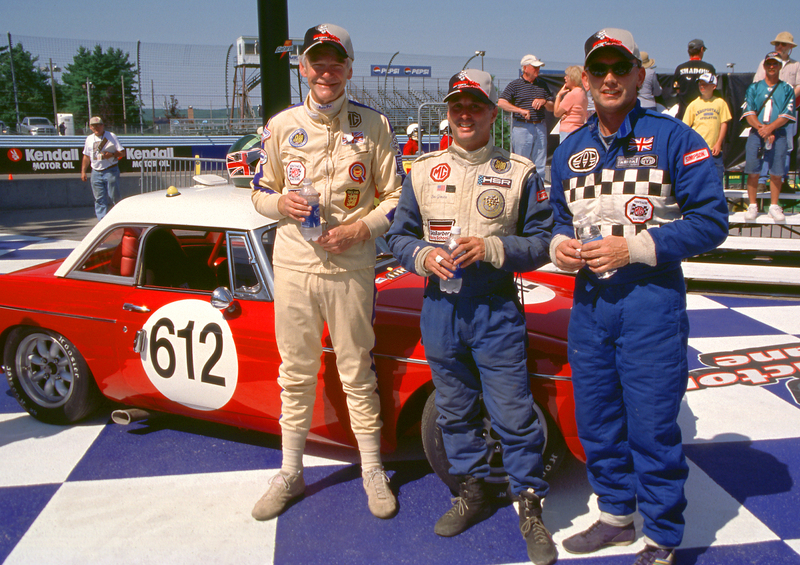 John acquired his first MGB (6564 AP) for racing in the US in 1994. It had an interesting history as a race car from near new in 1965 with an MG dealer in Sussex. Later the car was owned by the flamboyant figure of Gerry Marshall. John exported it to the US and prepared the car to the standards permitted by the Sportscar Vintage Racing Association (SVRA) of which he was a member since 1998. In 2001 he collected the prestigious Collier Cup for MG racers following a successful finish at the MG Vintage Racers all-MG race at the circuit he enjoyed most, Watkins Glen. Also at the Glen, John won the MGVR Spirit Award and in 2007, the Cornett Trophy as winner of the Collier Cup race with SVRA. 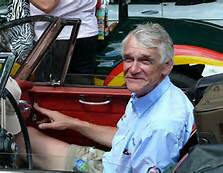 John was a supporter of vintage racing and the MG Vintage Racers group and enjoyed VARACs Festival at Mosport, Canada. John was also a member of other vintage race car groups. In 2003 John acquired an immaculate replica works MGB carrying an assumed registration plate BMO 542 B from Lloyd Faust built on a 1964 shell with steel front wings, aluminum bonnet, door skins and boot lid, complete with a works hardtop. He regularly returned to England for Club events and particularly enjoyed the Goodwood Revival weekend. Following his retirement he built up a successful business supplying US based MG enthusiasts with performance enhancing spare parts sourced from specialist suppliers in the UK whilst also maintaining his own stable of over a dozen classic British marques. In July 2013 he underwent major surgery for cancer and encouragingly a few months later John was able to visit Watkins Glen with Dana Moreland where his most cherished event, the Collier Cup MG race is held. John was determined to thank all of the racing friends for their thoughts and wishes. Sadly John passed away in hospice in Akron, Ohio, USA on 5th February 2014. John is survived by his sister Edwina, nephews roger, David and Richard Matthews, all residing in the UK. A memorial was held in Akron, Ohio on February 16th with a funeral in his beloved UK sometime in April. 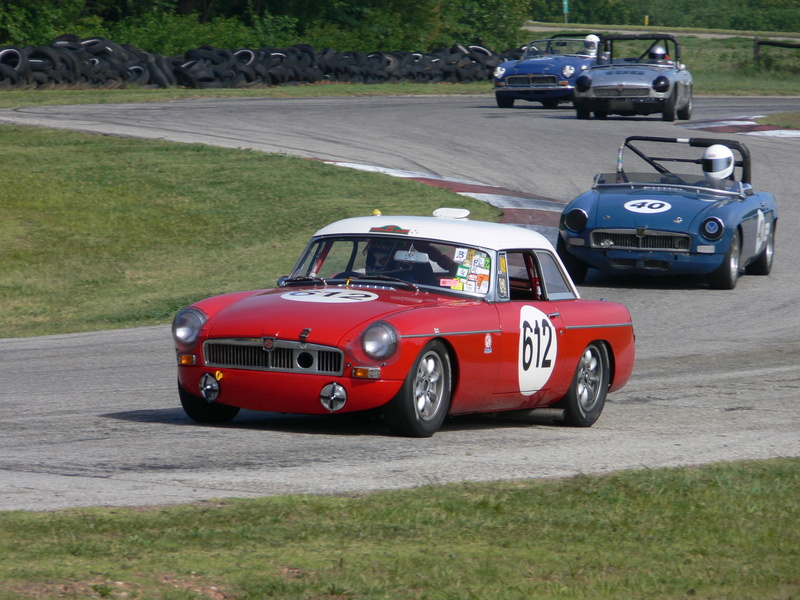 There are also plans in the works to hold a dedication to John at Watkins Glen at the SVRA event in September 2014 where the featured marque for the 2014 weekend will be MG.